To all the tea drinkers out there, have you ever wondered if there is a perfect way of brewing your favorite hot drink? According to science, to microwave your tea is the best way to formulate a cup of caffeine, antioxidant concoction. So, is there a perfect way to brewing a cup of tea? You might wonder why we are so fussed about this but the general British public is addicted to tea just as much as the rest of the world is addicted to coffee. In fact, some people, including myself, are not coffee drinkers. That's right, we don't like coffee! Which is why, alternative hot, caffeine-based drinks are a must as we, too, need our energy boosted in the morning and the rest of the day. And thanks to a study done by researchers at the University of Newcastle in Australia a few years ago, there is a perfectly scientific way of extracting all the leafy goodness in your tea bag. So, scratch the tea maker's brewing instructions and follow these simple steps to enjoy your cup of tea in all its glory. 3-Perform your bag dunking rituals, fish it out and enjoy the optimum concoction that is your tea. The researchers found that the conventional method of brewing tea - immerse your tea bag in 200ml of freshly boiled water for 2-3 minutes - only extracted 62% (61mg/g) of the catechins, 76% (24mg/g) caffeine, and 80% (10mg/g) of theanine. This brewing method is suboptimal and doesn't make the most out of a tea bag. So, the scientists formulated the above brewing instructions and called it the microwave assisted extraction (MAE). 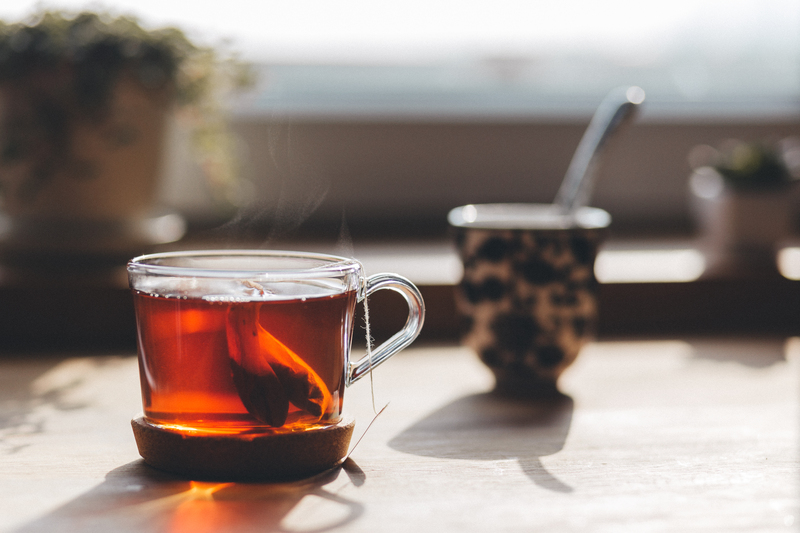 Their results revealed that the extraction of the important tea ingredients significantly improved by 80% (80mg/g) for catechins and 92% (29mg/g) for caffeine. However, theanine's extraction did not improve at all. This is an important revelation for those who are looking for health benefits from catechins and increase their productivity rate at work by consuming maximized caffeine. Catechin is a type of natural phenol and a plant-based antioxidant found in tea and pome fruits. Green tea and white tea are considered to have the most powerful dosage of catechins at around 10-40 mg per cup. Consuming a cup of green or white tea has antioxidant benefits greater than a serving of broccoli, spinach, carrots, or strawberries. Catechins can outperform Vitamin C and beta-carotene by ten times! Coffee drinkers, maybe it's time to make a shift in your life and convert to drinking tea perhaps? But be careful though, over-consumption of catechin-rich teas may cause renal failure and anemia. Just like with everything in the world, moderation is key. So, the next time you require a combination of energy and health-boosting drink, you know what to do. We've equipped you with the perfect brewing method and now execution is in your hands. Source: Improved extraction of green tea components from teabags using the microwave oven by the Newcastle University via ScienceDirect.